Friendly greeting. Great location. Spacious. Authentic apartment which adds to the experience. Washing machine worked great - clothes rack available for inside drying. Definitely recommend! Close to central Prague & main train station. Owners are extremely helpful too. Very clean & fully equipped with everything you need. The location is brilliant, together with a huge bed and copious amounts of hot water. Good overall facilities. Very quiet considering it's central location. Great place. Very friendly staff. Apartments from the large bathroom that a big rarity in Prague. A comfortable bed with good bed linen. From necessary there is everything (even decanter for wine) Good level. We liked stay. The host was very friendly and easy to communicate with - they arranged taxis to and from the airport without a problem and were very flexible in payment terms (EUR or CZK). Recommendation of close-by restaurants was also lovely!The location is very good to go to all the surrounding areas of Prague, especially the old town and shopping streets. The apartment is also quite spacious and has nice touches. 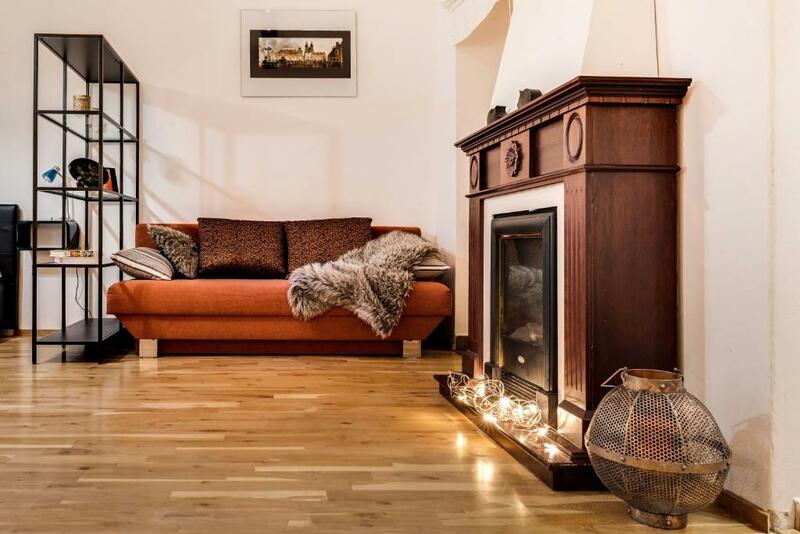 Lock in a great price for Art Apartments Ruzova – rated 8.6 by recent guests! 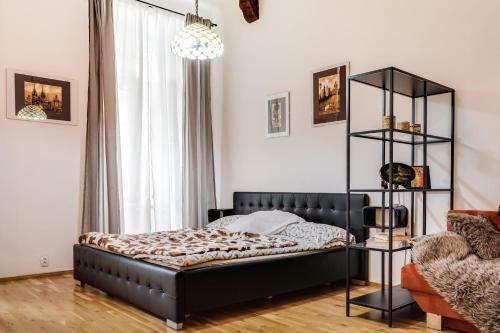 One of our top picks in Prague.Art Apartments Ruzova offers accommodations in Prague, set just 1,150 feet from the Main Train Station and 1,000 feet from Wenceslas Square. The modern accommodations offers free WiFi and rooms with fireplaces. Each apartment is fitted with parquet floors, a flat-screen TV and a kitchen. One apartment also has an old french piano from Prague National theater. The nearest grocery store can be reached within 1,300 feet and the Palladium Shopping Center and the Kotva Department Store can both be reached in 7 minutes on foot. 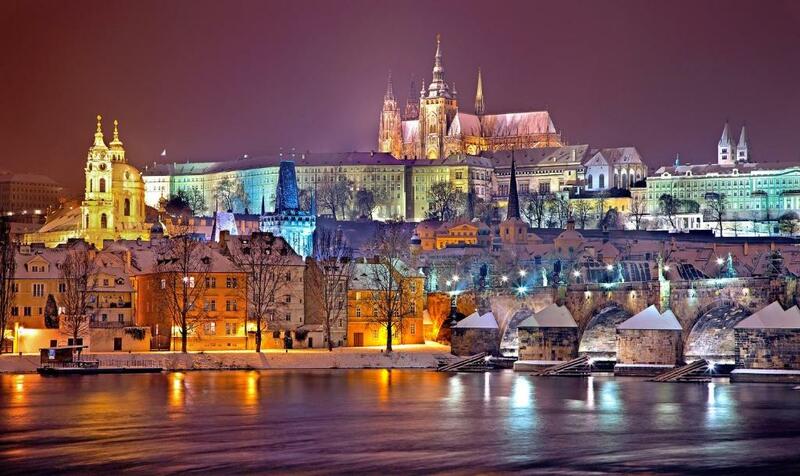 Prague National Museum is 1,650 feet from Art Apartments Ruzova, while Old Town Square is 2,650 feet away. 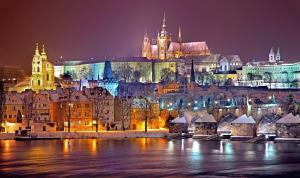 The nearest airport is Vaclav Havel Prague Airport, 7.5 mi from Art Apartments Ruzova. 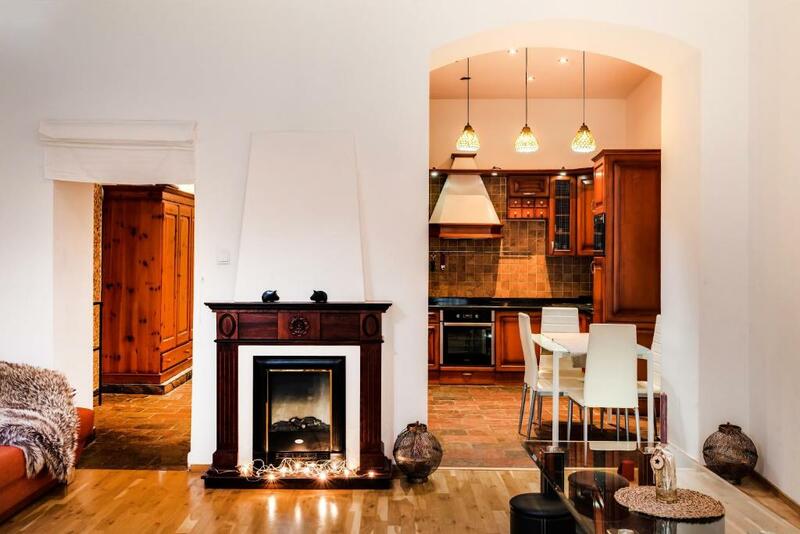 뀐 Located in the real heart of Prague, this property has an excellent location score of 9.3! When would you like to stay at Art Apartments Ruzova? This apartment has a kitchenware, a washing machine, an electric fireplace, a seating area and cable TV. This apartment features a seating area, a washing machine, a TV with cable channels, a fireplace and kitchenware. 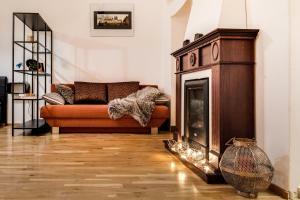 The Art Apartments Ruzova located in the historical centre of the city, all apartments is with fireplaces. There is also a kitchenette, equipped with a dishwasher. 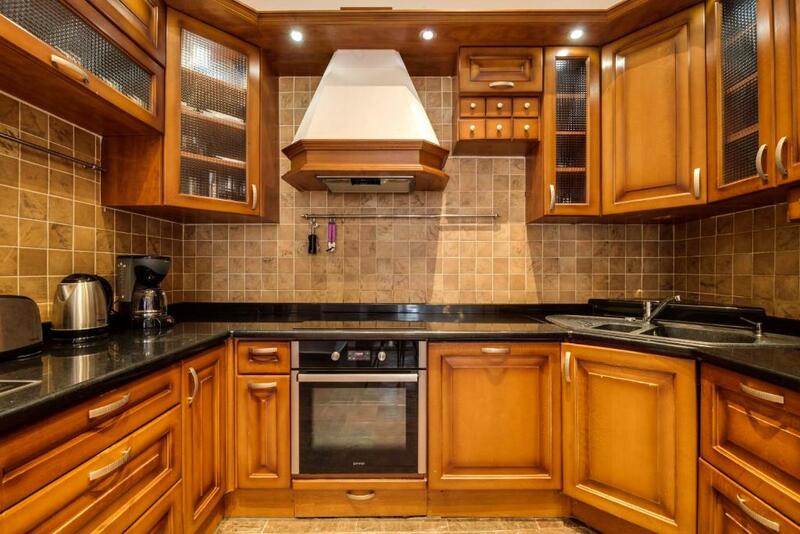 An oven and microwave are also available, as well as a coffee machine. Every unit features a private bathroom with toiletries and a hairdryer. Towels and bed linen also provided. Each apartment is fitted with parquet floors, an LCD TV and kitchen. We are looking forward to see you in the Art Apartments Ruzova and will do everything possible for your comfort. Art Apartment Ruzova create with love for your comfort. 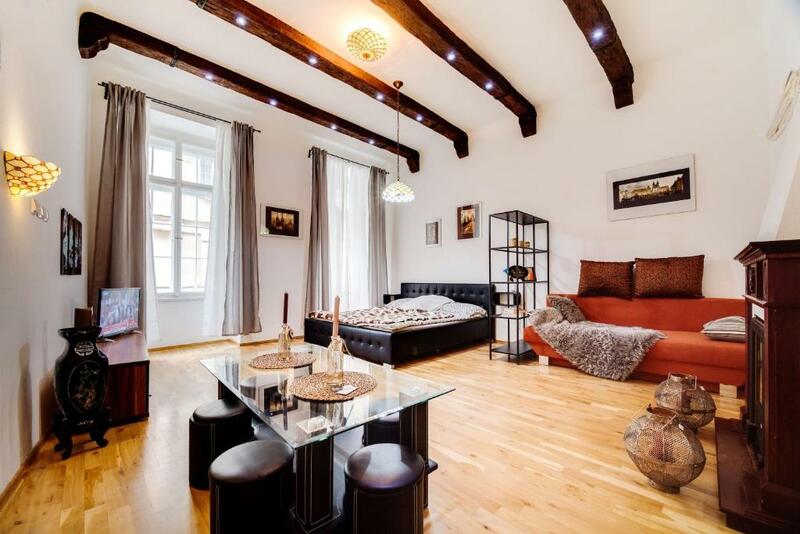 One apartment has old french piano from Prague National theatre. The Art Apartments Ruzova located just 200 m from Prague main train station Hlavni nadrazi near Wenceslas Square and 10-minute walk from the old town square and Prague Astronomical Clock . This is are the modern apartments in the historical part of the city, the name of the street Ruzova is begining from 1680 year. House Rules Art Apartments Ruzova takes special requests – add in the next step! Please inform Art Apartments Ruzova of your expected arrival time in advance. You can use the Special Requests box when booking, or contact the property directly using the contact details in your confirmation. The shower was hard to work and you cannot shower consecutively due to the inadequate boiler. The bed linen needs upgrading - as a couple it was strange having a single duvet each and it was poor quality. The TV didnt work but wasn't an issue as Prague kept us busy. Wifi is big problem you should fix this. Nothing. But, please clean the marble/stone floor too dirty. No elevator and no one helping us to carry the luggage, no cleaning service during our stay, very old building, beds not comfortable, no AC. Location and the layout of the room. The owner asked for the payment in cash as soon as we arrived and didn't inform us beforehand. I had to pay a hefty exchange price to pay them urgently. The property needs a very small amount of tlc. A few lights weren't working and could be sorted easily. Not really suitable for people with restricted mobility. The facilities were really average in my opinion - the WIFI and TV connection were on and off on a regular basis (we had to check the wires all the time and I was not keen to do that whilst on holidays). Cable TV was not working all the time for this matter as well. We also had problems with hot water from the shower sometimes (only cold water was coming out).